The organization’s membership tripled to 25,000 this year, largely on the heels of the Bernie Sanders presidential campaign. Sanders was unafraid to use the word “socialism” and proved that one could be a serious contender for even the highest office in the land if he or she embraced the word in the right way. 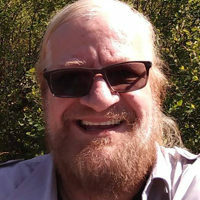 In a conversation on the sidelines of the convention, Svart explained that the construct of socialism being something bad falls apart when people see that socialists are people who fight for jobs for all, decent affordable housing, free college education, and single-payer health care for everyone in America. “This is what DSA and its members are doing,” she said. In the resistance movement to Trump, DSA and its members have been out in the streets demonstrating—whether it was at the Women’s Marches the day after his inauguration or at the airports and courthouses when the president instituted his Muslim ban. Many people signed up with DSA this year because they saw joining as a way of continuing the “political revolution” embodied in the Sanders campaign of 2016. 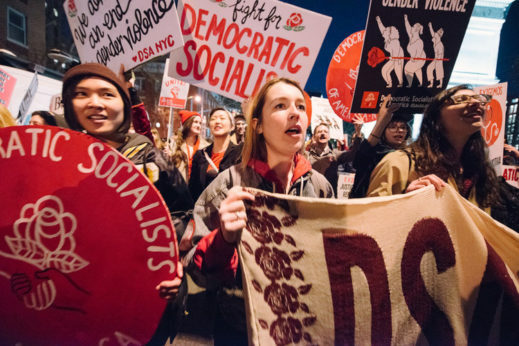 The pay-off of DSA’s participation in the Sanders campaign can be seen not just in its raw membership numbers, however, but also in the extensive network of new grassroots groups it now has around the nation. The organization now has 177 local chapters in 49 states and the District of Columbia. More DSA members are also running for local office in various places across the U.S. Sometimes they run as Democrats, other times as independents. It was back in 1912 that Eugene Debs garnered almost a million votes when he ran for president of the on the Socialist Party ticket. DSA isn’t at the Debs level of support yet, but it’s gaining ground. 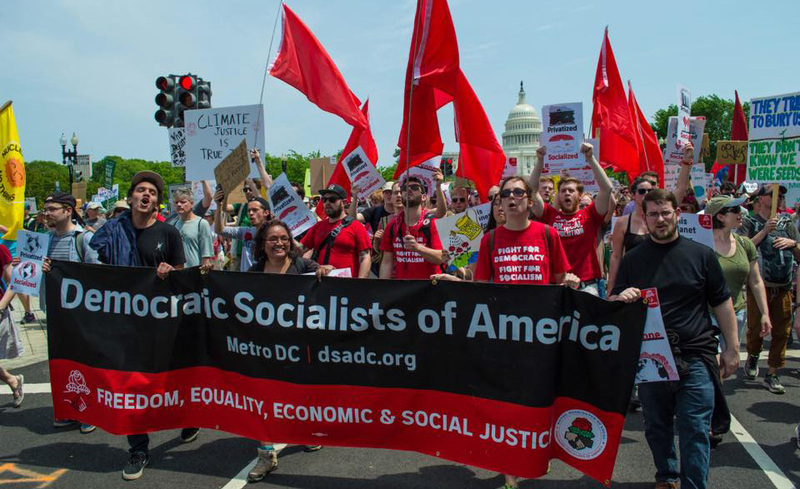 DSA members see support for socialist ideas in the broad public as another key factor in the tripling of their membership this year. 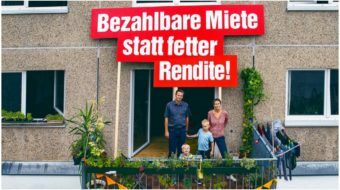 A third element, they say, is people’s desire to come out and fight against the policies of Trump. With Trump in office, “the times are perilous,” said Svart. The members and leaders of DSA have a variety of perspectives regarding socialist strategy in the era of Trump. Paul Prescod, a Philadelphia teacher and a member of DSA’s steering committee in his city, saw organizing and working in unions as the key. “Socialists are not going to really make headway unless there is a labor movement that is able to fully represent and fight for workers,” he said. “It’s a place to start.” He said socialists were already leading key labor battles across the country and pointed to the 2012 Chicago teacher’s strike as an example. Malony said that even “the election of democratic socialists is useful only to the extent that it politicizes and mobilizes people for action.” As a result, she said, DSA will be involved in elections in some areas and in other types of political campaigns in other areas. Schwartz, who is also an organizer of college professors, sees elections and organizing as both critical in the fight for socialist ideas.